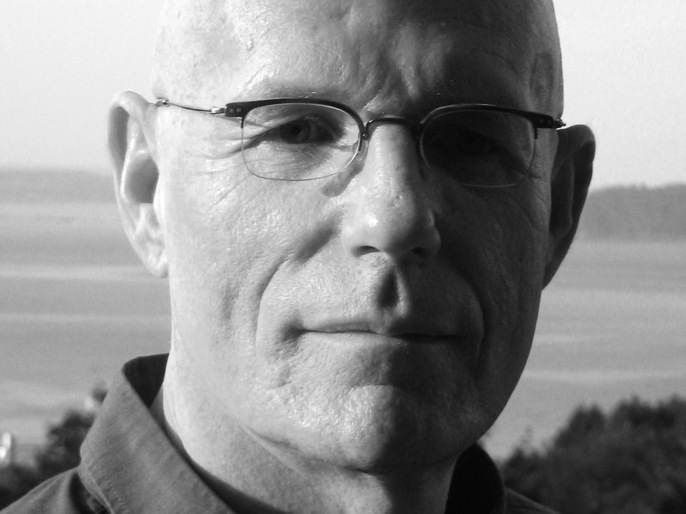 David Livingstone Smith is co-founder and director of the Institute for Cognitive Science and Evolutionary Psychology at the University of New England. Rolling Stone recently published photos online of American troops posing with dead Afghans, connected to ongoing court-martial cases of soldiers at Joint Base Lewis-McChord in Washington state. In addition to posing with the corpses, "these soldiers — called the 'kill team' — also took body parts as trophies," Smith alleges, "which is very often a phenomenon that accompanies the form of dehumanization in which the enemy is seen as game." But this is just the latest iteration in a pattern that has unfolded time and again over the course of history. In ancient Chinese, Egyptian and Mesopotamian literature, Smith found repeated references to enemies as subhuman creatures. But it's not as simple as a comparison. "When people dehumanize others, they actually conceive of them as subhuman creatures," says Smith. Only then can the process "liberate aggression and exclude the target of aggression from the moral community." When the Nazis described Jews as Untermenschen, or subhumans, they didn't mean it metaphorically, says Smith. "They didn't mean they were like subhumans. They meant they were literally subhuman." Then, within the human category, there has historically been a hierarchy. In the 18th century, white Europeans — the architects of the theory — "modestly placed themselves at the very pinnacle." The lower edges of the category merged with the apes, according to their thinking. So "sub-Saharan Africans and Native Americans were denizens of the bottom of the human category," when they were even granted human status. Mostly, they were seen as "soulless animals." And that dramatic dehumanization made it possible for great atrocities to take place. 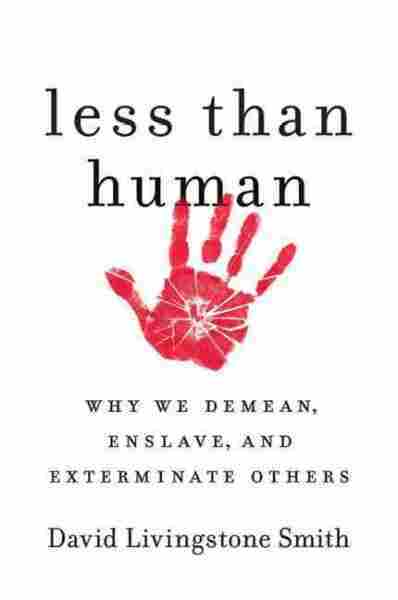 Before I get to work explaining how dehumanization works, I want to make a preliminary case for its importance. So, to get the ball rolling, I'll briefly discuss the role that dehumanization played in what is rightfully considered the single most destructive event in human history: the Second World War. More than seventy million people died in the war, most of them civilians. Millions died in combat. Many were burned alive by incendiary bombs and, in the end, nuclear weapons. Millions more were victims of systematic genocide. Dehumanization made much of this carnage possible. Let's begin at the end. The 1946 Nuremberg doctors' trial was the first of twelve military tribunals held in Germany after the defeat of Germany and Japan. Twenty doctors and three administrators — twenty-two men and a single woman — stood accused of war crimes and crimes against humanity. They had participated in Hitler's euthanasia program, in which around 200,000 mentally and physically handicapped people deemed unfit to live were gassed to death, and they performed fiendish medical experiments on thousands of Jewish, Russian, Roma and Polish prisoners. The defendants in this case are charged with murders, tortures and other atrocities committed in the name of medical science. The victims of these crimes are numbered in the hundreds of thousands. A handful only are still alive; a few of the survivors will appear in this courtroom. But most of these miserable victims were slaughtered outright or died in the course of the tortures to which they were subjected ... To their murderers, these wretched people were not individuals at all. They came in wholesale lots and were treated worse than animals. The descriptions in Taylor's narrative are so horrifying that it's easy to overlook what might seem like an insignificant rhetorical flourish: his comment that "these wretched people were ... treated worse than animals". But this comment raises a question of deep and fundamental importance. What is it that enables one group of human beings to treat another group as though they were subhuman creatures? A rough answer isn't hard to come by. Thinking sets the agenda for action, and thinking of humans as less than human paves the way for atrocity. The Nazis were explicit about the status of their victims. They were Untermenschen — subhumans — and as such were excluded from the system of moral rights and obligations that bind humankind together. It's wrong to kill a person, but permissible to exterminate a rat. To the Nazis, all the Jews, Gypsies and others were rats: dangerous, disease-carrying rats. Jews were the main victims of this genocidal project. From the beginning, Hitler and his followers were convinced that the Jewish people posed a deadly threat to all that was noble in humanity. In the apocalyptic Nazi vision, these putative enemies of civilization were represented as parasitic organisms — as leeches, lice, bacteria, or vectors of contagion. "Today," Hitler proclaimed in 1943, "international Jewry is the ferment of decomposition of peoples and states, just as it was in antiquity. It will remain that way as long as peoples do not find the strength to get rid of the virus." Both the death camps (the gas chambers of which were modeled on delousing chambers) and the Einsatzgruppen (paramilitary death squads that roamed across Eastern Europe followed in the wake of the advancing German army) were responses to what the Nazis perceived to be a lethal pestilence. Sometimes the Nazis thought of their enemies as vicious, bloodthirsty predators rather than parasites. When partisans in occupied regions of the Soviet Union began to wage a guerilla war against German forces, Walter von Reichenau, the commander-in-chief of the German army, issued an order to inflict a "severe but just retribution upon the Jewish subhuman elements" (the Nazis considered all of their enemies as part of "international Jewry", and were convinced that Jews controlled the national governments of Russia, the United Kingdom, and the United States). Military historian Mary R. Habeck confirms that, "soldiers and officers thought of the Russians and Jews as 'animals' ... that had to perish. Dehumanizing the enemy allowed German soldiers and officers to agree with the Nazis' new vision of warfare, and to fight without granting the Soviets any mercy or quarter." The Holocaust is the most thoroughly documented example of the ravages of dehumanization. Its hideousness strains the limits of imagination. And yet, focusing on it can be strangely comforting. It's all too easy to imagine that the Third Reich was a bizarre aberration, a kind of mass insanity instigated by a small group of deranged ideologues who conspired to seize political power and bend a nation to their will. Alternatively, it's tempting to imagine that the Germans were (or are) a uniquely cruel and bloodthirsty people. But these diagnoses are dangerously wrong. What's most disturbing about the Nazi phenomenon is not that the Nazis were madmen or monsters. It's that they were ordinary human beings. When we think of dehumanization during World War II our minds turn to the Holocaust, but it wasn't only the Germans who dehumanized their enemies. While the architects of the Final Solution were busy implementing their lethal program of racial hygiene, the Russian-Jewish poet and novelist Ilya Ehrenburg was churning out propaganda for distribution to Stalin's Red Army. These pamphlets seethed with dehumanizing rhetoric: they spoke of "the smell of Germany's animal breath," and described Germans as "two-legged animals who have mastered the technique of war" — "ersatz men" who ought to be annihilated. "The Germans are not human beings," Ehrenburg wrote, "... If you kill one German, kill another — there is nothing more amusing for us than a heap of German corpses." East Prussia was the first German region visited by the Red Army ... In the course of a single night the red army killed seventy-two women and one man. Most of the women had been raped, of whom the oldest was eighty-four. Some of the victims had been crucified ... A witness who made it to the west talked of a poor village girl who was raped by an entire tank squadron from eight in the evening to nine in the morning. One man was shot and fed to the pigs. 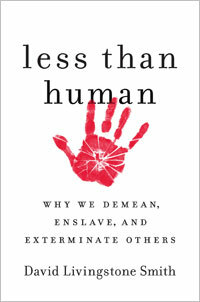 Excerpted from Less Than Human by David Livingstone Smith. Copyright 2011 by the author and reprinted by permission of St. Martin's Press, LLC.